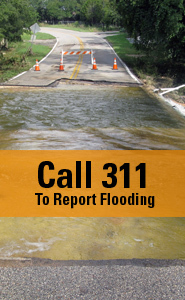 The Watershed Protection Department completed the preliminary engineering report on flooding in the area around U.S. Highway 183 and Jollyville Road. The report evaluated possible ways to reduce the risk of flooding in three problem areas. 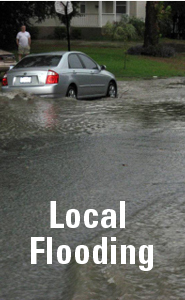 The type of flooding occurring in this area is known as local flooding. It generally occurs away from creeks in areas where heavy rainfall overwhelms the manmade drainage system of pipes and ditches. In the Bell Avenue area, the report recommends an alternative that would install approximately 2,400 linear feet of additional storm drains, associated inlets and curb and gutter along Bell Ave and part of Secrest Dr. In the Arabian Trail area, the study was unable to confirm flooding and did not recommend a project in this area at this time. While the report evaluated the flooding and potential solutions for each of the identified areas, we plan to move forward with a design and construction project in the Oak Knoll Drive area because the area is at a higher risk of flooding. The current design of the proposed storm drain system improvements is included in Appendix G of the Preliminary Engineering Report. As the project progresses, the final storm system design may change slightly from the results published in the Preliminary Engineering Report. View the Preliminary Engineering Report. View the Technical Memo with the current proposed design (Appendix G). Watershed Protection completed an in-house study of the Oak Knoll Drive area in 2014 and decided that a more comprehensive study of the area was needed. In 2016, we surveyed residents in the study area around U.S. Highway 183 and Jollyville Road to learn if they had experienced flooding and to analyze this historical flood data. The Watershed Protection Department completed the study and preliminary engineering report at the beginning of 2018. The next phase will be an approximately three-year design process with a construction project to follow. In the meantime, Watershed Protection crews completed two small projects to provide some flood risk reduction on Oak Knoll Drive and Three Oaks Trail.